Kryo Sleep Review - Does Ooler Live up to Everything It has to Offer? 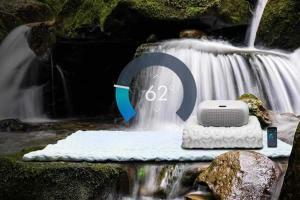 The Kryo Sleep Performance System Review: Does It Worth the Investment? While the Kryo sleep system was previously on the market, its new version (the Ooler system) has not been released yet. While you can preorder the system before the June release date, we encourage you to take a look at everything it has to offer before making your final decision. This system uses water technology to provide you with optimal temperature regulation during the night, so you remain comfortable and get a better night's sleep. It is designed to be sleek, discreet, and virtually silent—so it doesn't disturb your sleep during the night. It draws upon the scientifically proven relationship between our body's temperature and our overall sleep quality to ensure that the system is able to help you track and improve your sleep. To learn more about what this system has to offer, take a look below! What Features does It Have to Offer? The Ooler sleep performance system—formally known as the Kryo sleep performance system—is, in essence, a temperature regulating pad that uses water to deliver the perfect temperature you need while you are asleep. It is marketed to be able to improve your REM sleep significantly and, while it is still patent-pending, it draws on scientific evidence that proves that temperature can improve your sleep quality. The Kryo controlled cooling mattress topper can cool down to as low as 60 degrees Fahrenheit and even help athletes recover faster while also getting a great night's sleep. Whether you sleep alone or with a partner, you will find that finding the perfect temperature for you is essential to getting a better night's sleep. This system is a water-filled mattress topper that uses (like the name suggests) water to keep you cool during the night. In fact, water allows the Ooler system to efficiently use the air around you to effectively to decrease or increase the temperature by up to 15 degrees Fahrenheit. The system uses a cooling pad for the body that you place on your bed, just like a mattress topper. The pad itself is made of polyester fiber coating as well as a far-infrared fiber and waterproof fabric—this allows the pad to avoid overheating by reflecting any light and also ensures the pad has optimal temperature conductivity at all times. Since the hydronic pad uses water to regulate temperature, the pad also has a micro-tube network for water to pass through and deliver the temperature you chose. The pad is sleek and compact and incredibly durable—it is even antibacterial and antimicrobial. The pad also has a knit layer that is washable, so you don't have to worry it developing any odors or dirt build-up over time. The control unit to the system, on the other hand, is what controls it all. It looks like other home smart systems, so it is sleek and compact in design. While the technology is still patent-pending, the system is still effective and easy to use. Its sensor will let you know when the water needs to be topped off, and the unit itself provides everything you need to set it up to your own personal liking. Not only does this system draw on the relationship between temperature and sleep quality, but it helps deliver you with the best temperature for sleeping efficiently on any given night. It is a great option for athletes or anyone with joint or muscle pain as well since you can have it cool down to a temperature that helps your body heal. The control unit is virtually silent, so you won't have to worry about it affecting your sleep, but it also effectively powers the system to ensure it delivers what you need. The Ooler bed temperature regulating system also comes with an app specifically designed to help you control your system with just a touch of a button. It offers additional features that will track your sleep, so you can develop a sleep schedule that works best for you as well as get to know your body better. If you want to warm or cool your bed you can use the app to adjust the temperature—and it even comes with a wake-up warming feature that helps you wake up feeling energized and ready to go. The best feature this system has to offer is its programmable sleep schedule option. This one allows you to set your ideal temperatures for different night's of the week as well as different temperatures throughout the night to help you stay in your REM sleep longer. That being said, if you are looking for the perfect cooling pad for hot flashes this mignt be a great option! It is designed to be compatible with any bed size—so whether you have a twin or a king, it will definitely do its job. If you sleep with someone else in bed, don't worry. Just one person can use this pad, so you can both sleep comfortably in the same bed. The Ooler system is one of the best devices that helps you sleep better and allows you to wake up feeling refreshed. But how does it actually compare to other temperature regulating systems like the Bedjet and the Chilipad? When compared to the Bedjet, the biggest difference is that the Bedjet is a bed climate system that uses circulated air, instead of water, to provide you with your preferred temperature. It is set up like a bed sheet or mattress cover, and its controlling units are much bulkier than those of the Ooler system. On the other hand, when compared to the Chilipad, the Ooler is a little more similar to that one since they both use water. However, the Chilipad fits like a mattress topper and offer different temperature options. The Moona, on the other hand, works with your pillow and only cools your head and your neck. Like the Ooler, it is a pad, but that's pretty much the only similarity the two have in common. This system is pretty pricey—but it is worth it if you have the budget for it. It is perfect for those of you who sleep with someone else in the bed because you can regulate your own side without affecting theirs, so you are both happy. It also offers several additional features, including the app, that will help you get the most out of your system. Now that the Kryo system has transitioned to the Ooler brand, you will also find that ordering from the Ooler website will come with a 90-day guarantee to cover you in case you aren't completely satisfied. At the end of the day, this system is a great bed temperature regulating system that uses temperature control to ensure you get a great night's sleep. It also ensures that your body recovers quickly and that you wake up feeling refreshed every morning. It is a great option for those of you who sleep with a partner in your bed, and the unit itself is designed to compact and discreet—it is also pretty silent, so it shouldn't disturb your sleep. It is important to note again that while it is not currently for sale, you can pre-order now. New systems are designed to be shipped by June 2019—so time is almost up and soon they will be available to the public. Since it uses ambient temperature, you will find that it does not use a great deal of energy and the system will tell you when it needs more water, so you never have to worry about it running out. In the end, this is a great system to consider, just remember to make sure it is right for you before making your purchase since there are no customer reviews to refer to since it has not been released yet. Brookstone Bed Fan Review: Is It the Perfect Solution for Hot Sleepers? The Chilipad Cube Review: Is It as Good as It Sounds? The BedJet V2 Review: Is it Worth the Hype? Medical Disclaimer:The content on this website is for informational purposes only and does not constitute medical advice. Always seek the guidance of your doctor or other qualified health professional with any questions you may have regarding your health or a medical condition. Amazon Disclosure: SmartifyLife is a participant in the Amazon Services LLC Associates Program, an affiliate advertising program designed to provide a means for us to earn fees by linking to Amazon.com and affiliated sites.